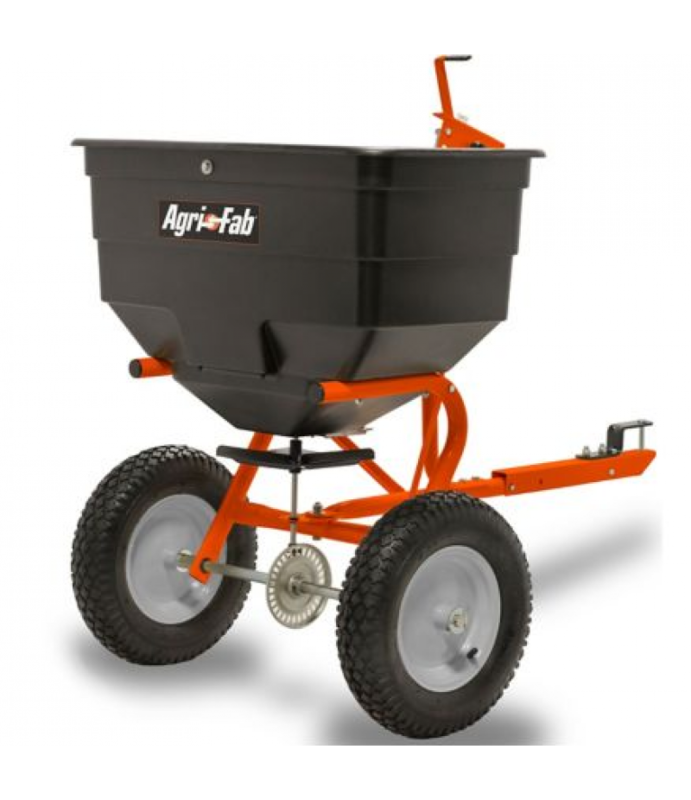 Agri-Fab premium spreaders for your every need. The Agri-Fab 175 lb. Broadcast Tow Spreader can cut down on the number of passes necessary to fully cover your lawn due to its wide distribution pattern of up to 12 ft. Because of its random distribution pattern, over-fertilizing and under-fertilizing are reduced. The large poly hopper and spreader plate resist corrosion. This extra-large capacity spreader has a coverage area of up to approximately 40,000 sq. ft., roughly 1 acre. Coverage Area: 40,000 sq. ft.